There are several home improvement companies in the Jonesboro City area, but very few with 31-W Insulation’s long track record of delivering total customer satisfaction. We have been helping customers throughout the Southeast enhance the comfort and functionality of their homes since 1972, so you can trust we have the knowledge, experience, and skills necessary to install fiberglass insulation that will boost your home’s thermal performance. When your home is badly insulated, its interior temperature is less stable. In other words, the temperature in different rooms of the house may vary, or the house just can’t seem to stay warm during the winter or cool during the summer. Not only that, but your electricity costs may also be higher than it should because your HVAC unit has to work harder to maintain your desired temperature. The fiberglass insulation that 31-W Insulation installs will reduce heat transfer into and out of your home to make it more thermally efficient, and thus, more comfortable. 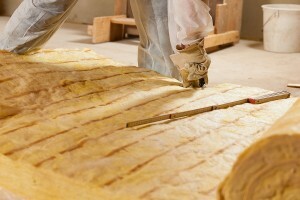 Our insulation will also dampen exterior noises to give you more peace and quiet in your home. As for the quality of our products, we offer insulation from respected manufacturers, such as CertainTeed and Owens Corning®. And we never rely on subcontractors; our factory-trained installers are our trusted employees who ensure compliance to our industry-leading standards of workmanship and customer service. When you reach out to us to install your insulation, one of our friendly team members will sit down with you for a convenient at-home consultation to discuss your needs and budget. Once you’ve chosen your insulation product, we will perform your installation with minimal disruption to your daily routine. For more information about the fiberglass insulation products we offer homeowners in the Jonesboro City area, contact 31-W Insulation today.